Yard Art did a wonderful job with these planters. 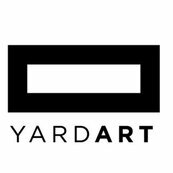 I was a little worried ordering through email as the company I work for is based out of Colorado and Yard Art is in California. I normally like to see and touch items such as these prior to purchase. My worries were unfounded, however. The planters arrived sized just as I had ordered them with a perfect finish. I couldn't be happier and our clients were just as excited.